Thug (aka Serkul, a previous Monotonik artist), has been getting some pretty nice press recently for his debut CD “Isolated Rhythm Chock” on the Aural Industries label outta Australia. 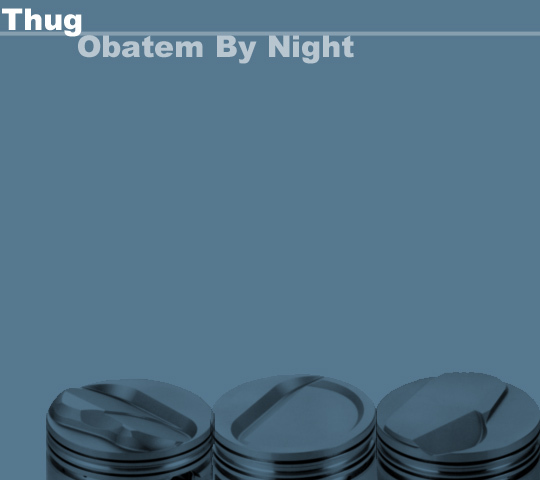 And we’re lucky enough to be able to release “Obatem By Night”, an exclusive track from him, not on the album and only available on mp3 from da Monotonik homies. Listen to the track and you’ll find alternately beautiful fuzz and extremely concentrated melodies, reminiscent perhaps of Black Dog at their most melancholic. The hihat ticks away and time becomes a loop? Hope you enjoy this track – we hope to feature more of Thug’s music in the future, and more info about his CD can be found at http://www.aural-industries.com.au – go patronise, already.